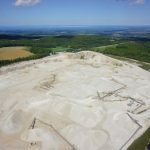 4 Essential Services from Your Survey Company | Canadian UAV Solutions Inc. 4 Essential Services from Your Survey Company | Canadian UAV Solutions Inc.
Each of these types of survey services tell you a little something different about the land that is being surveyed. 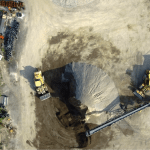 For mining, a UAV survey can provide you with a detailed orthographic mosaic map, something that would take a great amount of time and cost to do with more traditional, ground-based survey methods. With engineering and construction surveys, drones can take aerial views and inspections of all parts of the land and give detailed analysis of the layout and features of the land as well as any structures that might exist. Topographic surveys can enjoy a new level of detail in the information that is used to make maps or determine the value of a plot of land. With a survey company like Canadian UAV Solutions Inc., you are privy to these types of services and more. Being in business with us means being well-informed about any property or building that you need to survey. If you need assistance or would like to survey company, please contact us today.